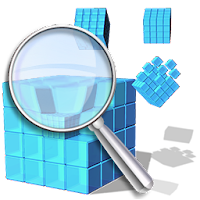 Auslogics Registry Defrag can improve your system’s performance by Compacting and Improving your System’s Ability to Access the Windows Registry. In theory, and as programs are installed and/or removed from a system, the registry will not only grow in size but will also lose its linear structure, making it less responsive and causing increased access times. A registry defragmentation can reverse this, eliminating useless space that was previously allocated to now uninstalled applications as well as restore a linear structure to the registry that optimizes access times.